Christmas is so nearly here! I can almost hear Santa's sleigh bells! I've been really organised this year, much more so than any years previous. Cards are written, (some) gifts are wrapped and my decorations are down from the loft! It can be such a struggle each year trying to think of the perfect gift for your loved ones, children in particular can be a bit tricky as they change their minds so often, and often ask for the most ridiculously overpriced things! 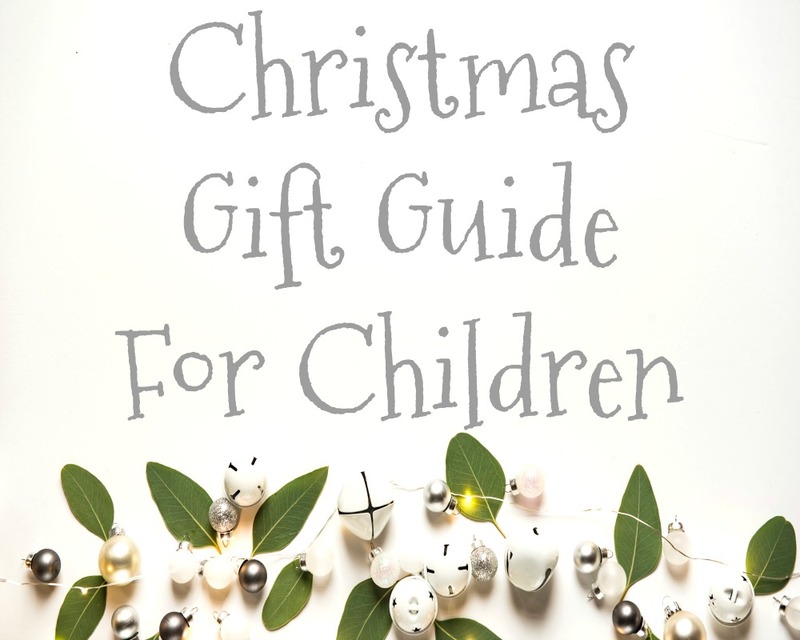 So that's why I wanted to share with you today a fantastic range of gift ideas for children, all budget friendly. My little ones really enjoy doing science experiments at home, and my little girl is particularly interested in science since starting school. This little kit is perfect for young scientists try their own hands on experiments in their very own home, with real science tools and lots of activity cards to help them along the way. The set includes a beaker, magnifying glass, funnel, flask, test tubes and lots more useful equipment. A fantastic kit to help your little ones develop their skills and introduce them to the world of STEM. For a more educational, but still exciting gift for little ones - what about this beautiful Personalised Wooden Alphabet Bag! A lovely, natural wooden letter set presented in a gorgeous canvas storage bag. The bag can be personalised with your little ones name to make it extra special! A beautiful, fun but educational gift to introduce your little ones to letters, words and shapes, and encourage their life long love of learning! (The personalisation of the bag would be in the gap under abc. You can also purchase extra letters if needed) Use the code OMG10 at checkout for a 10% discount! First Wonder are unique, themed boxes for fun loving, creative little ones. Each box has a different theme, and contains exciting activities, toys, puzzles and lots of fun facts! The terrific design of the boxes make them eye catching for little ones, and impressive for grown ups too. They are really brilliant boxes, teaching your little ones about new topics and encouraging them to explore new things and use their imaginations! I am a big fan of WOW toys! All of their toys are really excellent quality, made to last, and best of all, no batteries needed. The figures and vehicles are unique and help promote imaginative and creative play. The Preschool Playset includes 3 characters, a spinning classroom table, slide, see-saw, whiteboard and spinning clock face. The ideal set for any little ones who are starting school, and help promote their motor skills and build their confidence. The adorable Cavemen and Dinosaur Playset includes 3 dinosaurs and 2 cute little cavemen. WOW toys are very durable and completely safe for children. If your little one loves figures and playsets, I cannot recommend WOW toys enough. Sylvanian Families are such iconic, classic little toys, I couldn't resist adding a few adorable sets into this guide. Sylvanian Families are just really sweet little toys, and perfect for imaginative role play. Sylvanian Families are make amazing gifts for little ones, promote imaginative and creative play - they definitely stand the test of time! Mud & Bloom boxes are absolutely fantastic gardening and nature subscription boxes for children. My little ones absolutely love getting outside, no matter the weather. Digging in the garden, learning about plants and animals and exploring nature. Each box comes with a delightful amount of activities to enjoy with your little ones, beautiful seeds to plant together and nature inspired crafts. You can read my previous review of a Mud & Bloom box here, but I really cannot recommend them anymore! They'd make amazing gifts for little ones this year, you could set up a subscription for them, buy a one off box or even a sibling box, with enough supplies for 2! One thing my little ones have both put on their Christmas list this year, it's a Scooter! I really love the look of the Zycom C100 Cruz scooters, as they have such a unique style! With three wheels, a wide deck and non-slip handlebars it makes for the ideal first scooter for little ones. 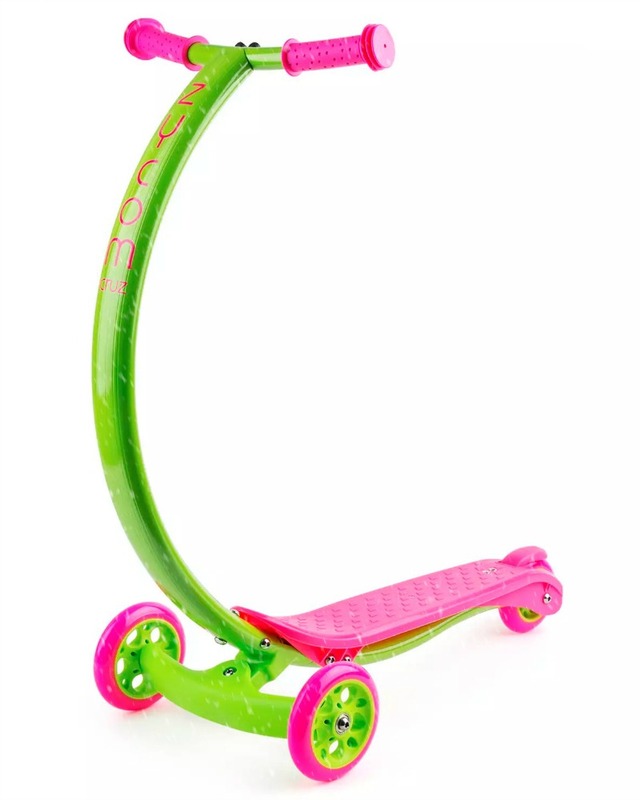 If you are looking for a gift for older children, stunt scooters are becoming particularly popular! Why not take a look at the fantastic Slamm scooters available in a large range of colours and styles. These convertible books are the coolest invention ever! I've never seen anything like them before. They are thick and chunky books that start off as a delightful story book, which then converts into a large playmat, which then converts to a fantastic little vehicle that your child can actually sit in! Seriously, I can't get over how cool these books are! We are huge Miles Kelly fans in this house, and own a lot of their books, but these convertible books are something else! We went with the lovely Convertible Princess Carriage book, featuring well known and loved fairy tale characters and the Convertible Spaceship book that folds out into a rocket, perfect for young space explorers! Sunny Bank Allotments are a delightful series of children's books based on a TV show of the same name. The show was created by a first-time dad after hearing many complaints about the children's TV shows of today. It's a really wonderful show, and book series! A great way to teach little ones about the world around them, nature, health eating, gardening and wildlife. Truly educational but fun stories for children to aid their development. Boots Mini Club always has the most beautiful, and excellent quality clothing for children. I always assumed that they only sold clothing for toddlers or babies but they actually sell gorgeous items for big kids too! The amazing Fearne by Fearne Cotton collection at Boots at the moment is full of stunning clothing for children and adults, perfect for when the colder weather draws in. The Mini Club Fearne Woven Dress is absolutely beautiful! With a lovely leopard print, and contrasting sleeves in a blue colour, it's easy to wear whether your little ones are snuggled up watching a family Christmas film or they are heading to their school Christmas disco! It's quite a thick dress meaning it will keep them snuggly too, and the perfect addition to their Winter wardrobe. My little man lives in his snuggly clothes. (Definitely takes after his mama!) So cosy jogging bottoms and comfy hoodies are always a good choice for him. This Mini Club Fearne Hoodie is really sweet, and just the right amount of cosy! The embroidery details and badges are adorable and I love the light grey colour of the hoodie. Perfect for any little guys who love to be stylish and snug at the same time! Last but not least, something for the older children! The Greatest Showman Book is a beautiful behind the scenes look at the film. With a huge array of information, facts, interviews, original art, song lyrics and absolutely stunning photography. You can find out all you need to know about the movie, in a gorgeous and glossy coffee table book. There are so many pages to this book, you could spend hours gazing through it and singing to the soundtrack using the lyrics! The book is amazing quality featuring stunning, vivid photography and artwork. It would make the perfect gift for any Greatest Showman fan, young or old!